For more than 7 years we have dedicated ourselves to the sale and installation of kitchen countertops, allow us to say that when it comes to remodeling your kitchen, the choice of the countertop is one of the most important steps. A kitchen countertop is the most important element of a kitchen; it is the first thing your eyes are drawn to in that space. It sets the tone, adds warmth and gives you that inviting at home feel. One of our most in-demand services is the installation of kitchen countertops. Kitchen Countertops today come in a variety of materials, we advise you to find out which material is most appropriate for your kitchen. Are you thinking of changing your kitchen Countertop? Do you want to choose a quality material that will last a lifetime but does not cost an arm and a leg? Inevitably, when we think of durable materials, nothing comes to mind more so than Granite, Marble, Quartz or Onyx stone countertops. You’re right; there is no better material, more resistant or more durable than stone. Or put another way, there is no better material than Marble, Granite, Quartz or Onyx for affordable Kitchen Countertops. Over the past few years, stone countertops have become more accessible than ever before. Divine Design offers top quality stone countertops at prices that will surely surprise you. The reasons for choosing stone countertops instead of other materials can vary. But most of our clients agree on the same point. They chose stone for the durability that they offer, their natural beauty and the elegance that they bring to the home, be it to the kitchen, the bathroom or any other space in your home. Among its advantages, you will find that stone countertops are the easiest to clean and have a longer gloss life. Also, they are very clean countertops, something that you should take into account. This type of material repels the absorption of microbes and microorganism. 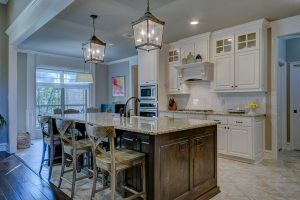 The stone countertops stand out, among other characteristics, for their quality and resistance, but it is the beauty of their finish that makes them favorites for more decorative kitchens. Trust our professionalism and experience as kitchen designers. Our team of professionals will listen to your requests and will advise you to choose the material that best suits your needs and the style of your home. Please call us for a no-obligation free estimate of your project.